Prevent dirt and hair build-up on the under side of pad by occasional brushing. This keep old hair from being pushed further into the pad and trapping dirt and sweat. To remove embedded hair and dirt, rub a dry 5 Star cleaning sponge (which arrives with the purchase of every 5 Star saddle pad) in a circular motion on a dry pad. For pads with heavy crusted sweat and dirt, break up area with rubber fingered curry or scrape gently with a dull edged object being careful to not cut the felt. Vacuum (with a shop vac) if possible, or use a brush to remove loose material. Washing is only necessary if the pad is beginning to feel hard and form pressure points. Wash pad from the center to the outer edges. Hang/hold by gullet hole, runse from cetner of pad to outer edges, rotating the pad so that the water flows out towards the edges. Avoid laying the pad flat and rinsing as this will drive the dirt into the pad. Wash/rinse lightly, using only enough water to dissolve the sweat and dirt residue. Hang by gullet hole of lay over a rail to dry. Avoid laying flat to dry. Flex the pad once it is dry to restore the cushion. Two thickness options (7/8" or 3/4"). Best thickness is determined by personal preference, saddle fit, horse's discipline and workload, etc. 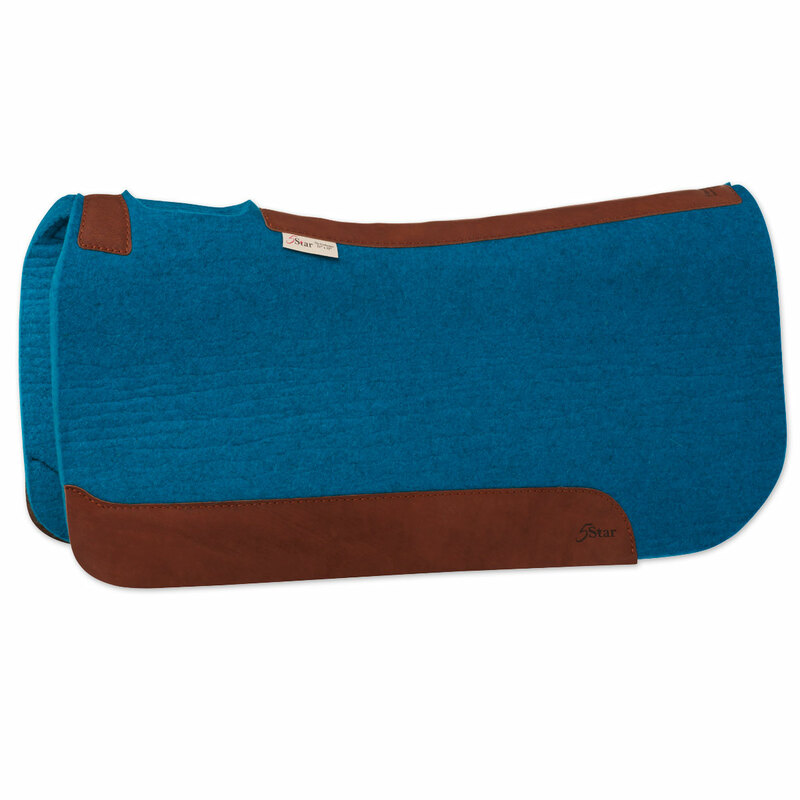 This pad features a special blend of alpaca fibers and wool felt. 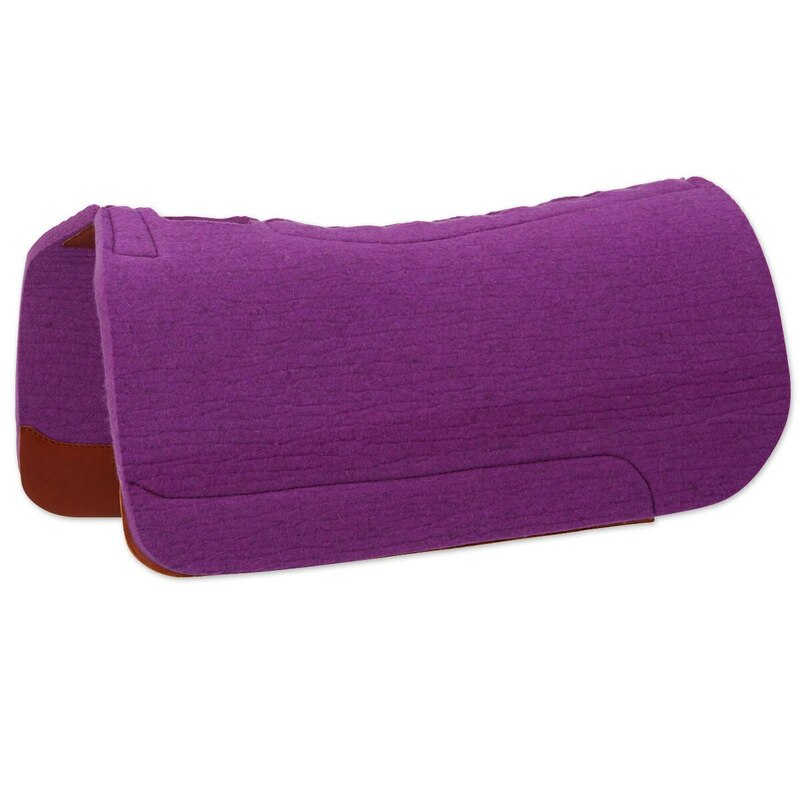 Incredible softness, cushion, and flexibility while retaining durability. Split, contoured design conforms to the horse’s natural topline. Cutout over withers reduces rubbing. 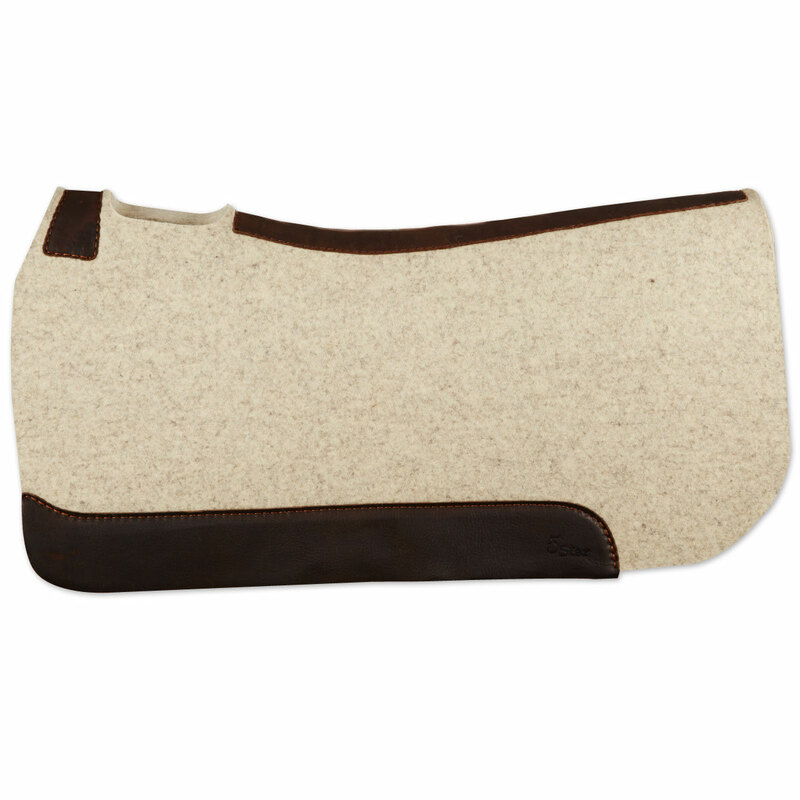 The Mustang New Zealand Wool Blanket Top Pad- Cream/Navy is custom designed, 100% New Zealand wool blanket top, 1" felt center and thick fleece bottom finished with top grain wear leathers. 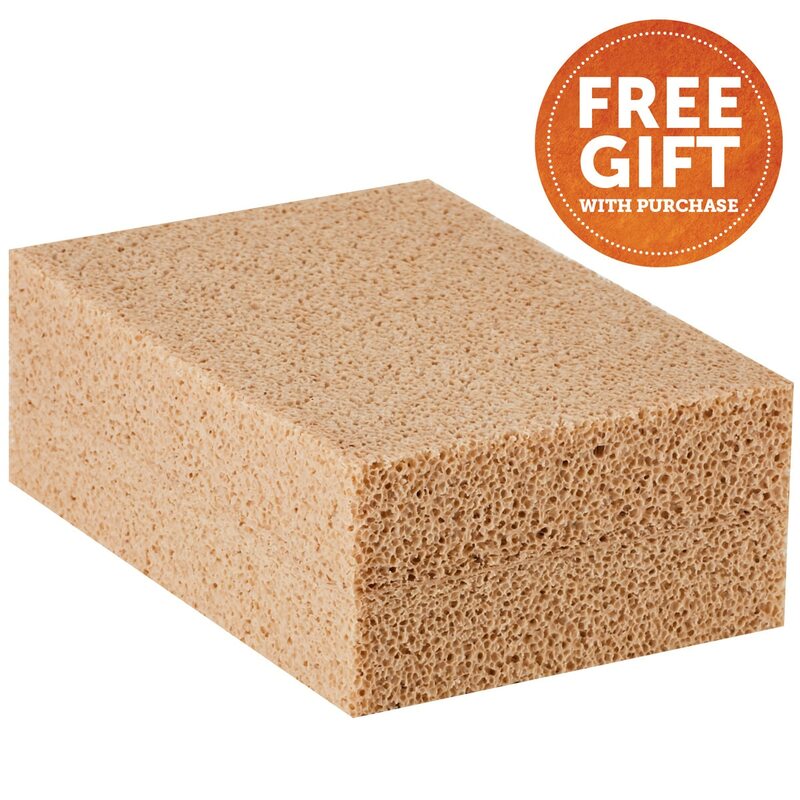 5 Star Performer Full Skirt Pad - FREE Cleaning Sponge is rated 4.9 out of 5 by 16. Rated 5 out of 5 by arig from Fantastic quality! I bought this saddle pad because the saddle pad brand I was using for years, changed the make of their pads & I was in need of a new one. This fits my horse PERFECTLY! It does NOT move! You can tell the quality the minute you open the box. Well worth the money! Rated 5 out of 5 by NBradford from Love it!! I haven't had this pad long, but I really love it! It just melts onto my horses back, fit her perfectly from the first time I put it on, I will be saving up to buy the turquoise one next! Rated 5 out of 5 by Becky from No More Sore Back I bought this pad after reading the reviews and seeing how 5 Star Saddle Pads were sponsoring the riders in the documentary Unbranded. 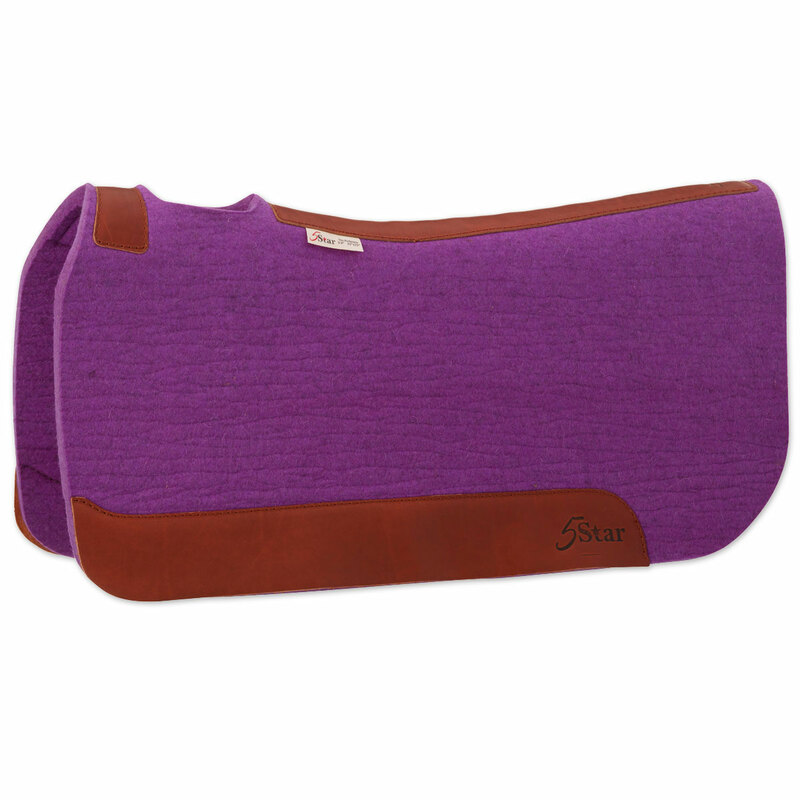 The pad is soft and supple and immediately conforms to my horse back. He doesn't seem resistant and uncomfortable when I'm asking him to use his muscles more. I am very happy with this brand and will continue to buy these pads for my current horse and for my future horses in training. Rated 5 out of 5 by Green eyes from Great investment! I bought a 5 Star Pad years ago for one of my horses. I had it custom cut to fit perfectly with my saddle. I love it! 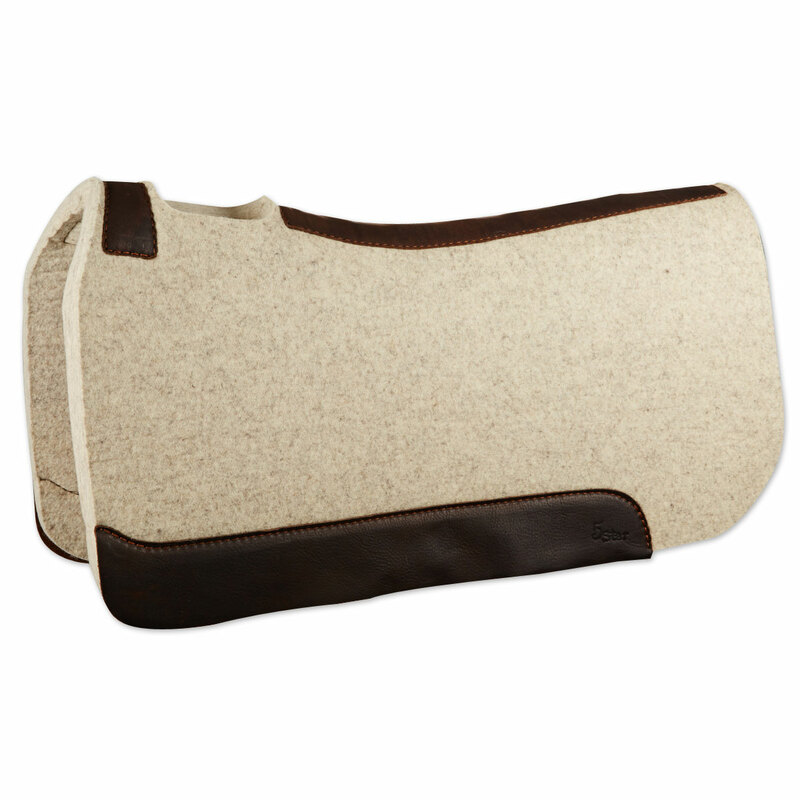 I needed a new pad for another horse, and was happy to see that Smartpak now carried them. I had to purchase the full size to fit the width of my lady wade type saddle, and it is a little long, but doesn't cause a problem. These pads wear excellently. My old one gets a lot of use, but if you clean them when they get crusty, they are like new again. 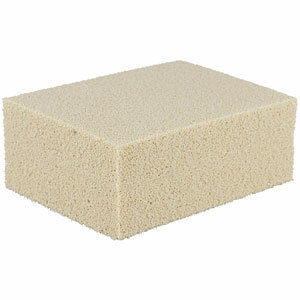 Since there is no foam to break down, I believe they will outlast just about any pad out there. I have one pad for each horse, because they do mold to the horse's back. 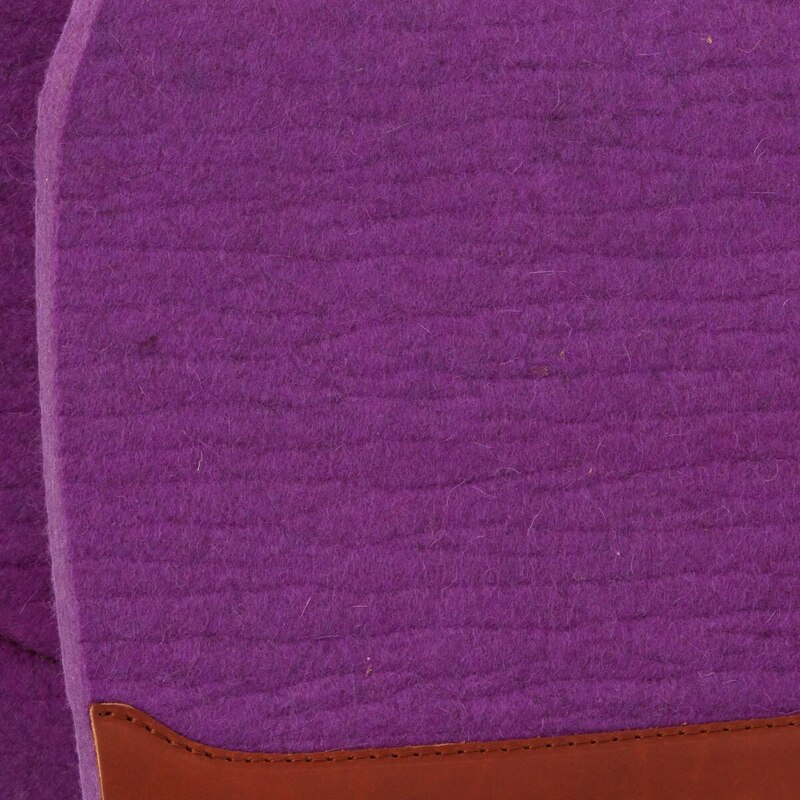 Just as you wouldn't want to share leather boots with a friend, your horses should have their own wool pads. Try one! You will love it! Rated 5 out of 5 by rhemydog from The BEST Pad! I purchased this to replace a Professional Choice Air ride pad I have been using for the last year and a half. I do reining and mounted patrol, which means lots of hours in the saddle. I thought I had the best pad for my horse, but I was wrong! My horse did not show any obvious signs of having a problem with the PC pad - that is until she shed out her winter coat! There was roaning behind the withers! YIKES! I did my research, read the reviews and thought I would give this pad a try. Smartpak had the best price so I went ahead and ordered the 7/8" pad. What a difference! This pad is soft, not like the PC pad, which is like strapping two boards alongside your horse. I honestly believe the PC pad does not breathe very well since it has the antishock (styrofoam) in the middle of it and the heat is what caused my horse to roan. With her new 5 star pad, my horse moves much more freely, drops her head, uses her back and is like a new animal! I am hoping the I caught the roaning early enough for it to go away when her coat changes again. I realize the expense of the 5 Star pad - but it so SO worth it! Rated 5 out of 5 by jj339629 from Quality This is an outstanding high quality pad. I personally ride in the 7/8" thickness and bought the 1" for my wife who trains 3-4 horses daily back-to-back. I highly recommend this pad, you will not regret it. Rated 5 out of 5 by Windycity2 from perfect Always wanted one of these. It seems to fit over the horses back nicely not stiff. Looking forward to having this for a long time. Rated 5 out of 5 by PitsSteelers from Great pad Bought this as a gift for a horse enthusiast and they loved it. 5 star is top quality.